Praise the Lord for pho! It's filling and makes your tastebuds tango, yet tastes clean and refreshing. It's brilliant at getting rid of a hangover or a cold. Plus it's generally pretty healthy and CHEAP like the budgie! What other dish can compete?? When I went to Hanoi last year I had tons of the stuff. Here in Melbourne (itself home to some damn fine pho, according to this Hanoi food blogger), when the pho craving hits in the CBD, I tend to go to good ol' Mekong on Swanston. The yellow sign in the modest shopfront window reads "President Clinton had 2 bowls. How many can you have...". Far too many tables are crammed into the shabby interior and the staff tend to give you fairly short shrift, but that doesn't deter the punters. At these prices ($7 for a bowl that will easily leave you patting your tummy with contentment) and with pho so tasty, it's no wonder. 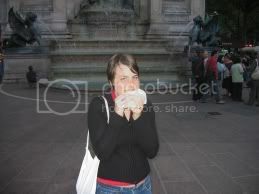 Does anyone know whether Bill actually ate at this particular venue?! Yes, I rather like to slather my pho bo (beef pho) with sauces before the tearing of the Vietnamese mint and the sprinkling of bean shoots. By the way, for those in the vicinity of Swan Street Richmond, I'd like to plug the Vietnamese restaurant Love Pho that just opened on Saturday a few doors down from Flavours of Lakhoum. I wandered in there on Saturday afternoon to pick up the take away menu, and the staff were extremely sweet and friendly and nervous about their opening day. The site once housed a very good suburban Indian restaurant called Swami that closed, so I'm hoping that locals will give this place a chance instead of automatically heading up to Victoria Street. I'll review their pho soon! Sorry to go on a tangent, mutemonkey, but did you notice whether Flavours of Lakhoum was actually open? I recently heard that it has closed but haven't gone by to check for myself. Oh my, i get so sentimental when i read your post on Mekong...used to frequent this place at least once a week during my uni days. 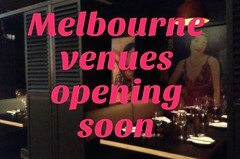 Just yesterday, i recommended a friend who is now holidaying in Melb to try the Pho at Mekong. Sniff sniff..i wish for a bowl right now. Hey Ironeaters – I've heard you say that before – but I'm sorry, Mekong I far better than MVNK! Thanks Mutemonkey for the lovepho tip. Will be heading there. 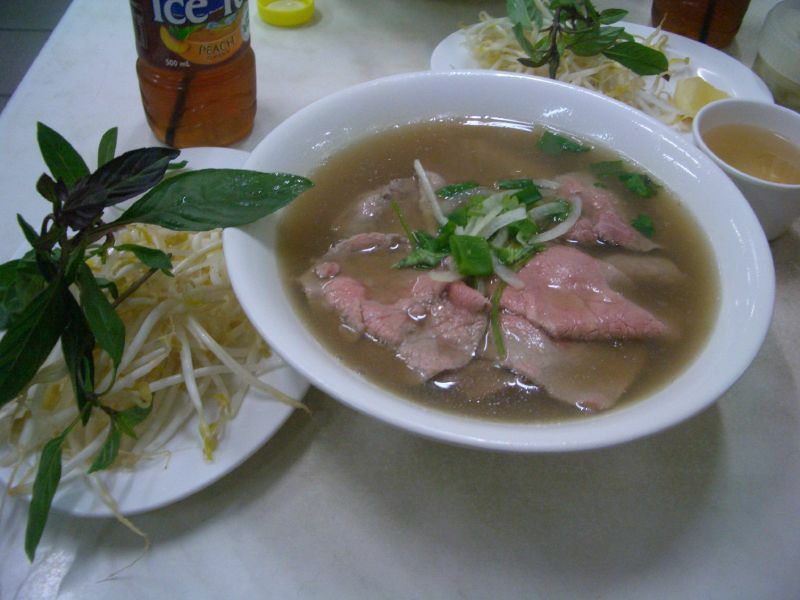 By the way last time I went to Thu The, I discovered they serve Hanoi Style pho. I had a bowl, it was good. i never knew that there's different versions of pho? but everytime i go to any vietnamese restaurants i tend to order their grilled chicken with rice. i know someone in the know - clinton did indeed visit mekong. there's prolly a pic up in the restaurant somewhere as proof (i must confess i normally look at the pics of jackie chan and samo hung - his flicks were childhood favourites). 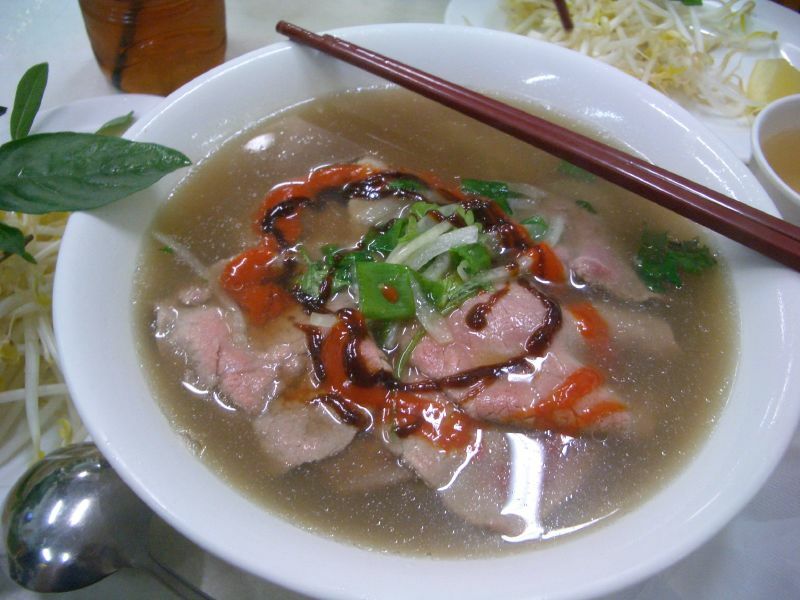 mmm, now i have pho cravings.. Thanks for the info, jfox! I wonder when it was that Clinton visited them? When I went up to Port Douglas a few years ago there were lots of restaurants in Macrossan Street boasting that Clinton had eaten there. Heh. 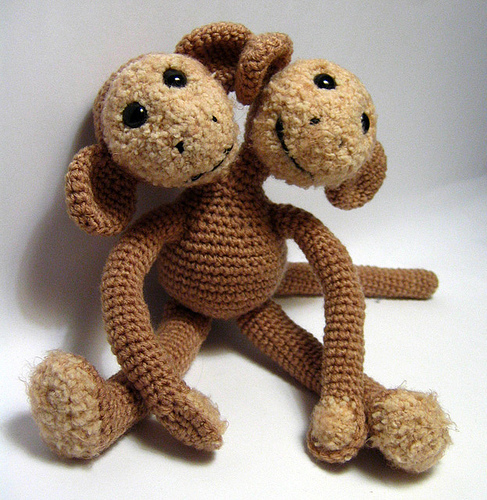 Hey, I used to love Mekong too! Until I found strands of hair in my beef pho.. I've also heard lots of rumors about their hygiene...not sure how true they were. Now I've been eating most of my Vietnamese food at Phong Son on Swanston Street. Anyway, tell me what you think if you've tried it! Love Pho is yummy (a friend of a friend is the friendly owner) - next time you're there, check out the salted quail. 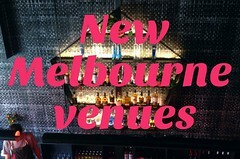 Some of the best in Melb if you ask me. 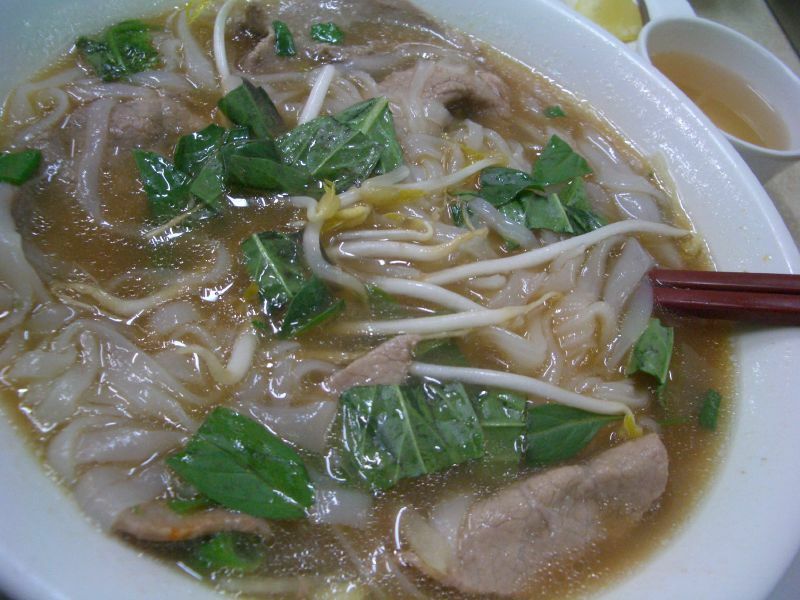 I love Pho, but the Mekong has been heading down hill. Maybe after they were closed down (here) from the health violations - the cleanliness has ruined the taste of the food. Try Pho888 in box hill - its the best tasting Pho I've had in Melbourne.